It’s the middle of June and we haven’t quite seen the best of the rainy season yet. There have been a few showers, but the rains are still holding back on us. Now this may be sound good to a few ears, especially to those of us who have to travel each day. And I can understand that arriving drenched to work, can’t exactly be your ideal way of sitting through an entire day’s work in your air-conditioned offices. But nonetheless the monsoon for me is the most beautiful time of the year. Now I know it can be a real pain to travel during the rains in our city (Mumbai) and most of us would rather sit at home. But for those who like the rains and don’t mind getting a little wet, well this post is for you. I love walking and nothing seems more peaceful than a nice long walk. Though it can be really hard to get away from the crowds in this overly populated city. However, the rains make sure that many don’t step out. So only if you could brave a little rain, it could actually be the best time to enjoy the city. So I’m sharing 5 places, which I think are great to walk around in this city on a nice rainy day. 1. Town: (It’s how most of us refer to the area between V.T to probably Colaba) Town has always been close to my heart. I don’t know whether its cause I’ve spent a good five years going to college there and have many memories or is it cause it was easy access to the sea front or maybe the beautiful architecture that the Britishers have left us with. But town has its many charms and its one place I love walking around. Especially in the rains, with only a few people out it’s the best place to have your earphones on and your feet taking you about. 2. Now I don’t know how possible this could be for most of you but I do have a friend in the army and so I get access to Navy Nagar whenever he is in town. It’s where all the army people and families reside in our city and it can be difficult to get it unless you live there. But it’s like a town on its own. And well it’s next to the sea and spacious and doesn’t suffer from the traffic and noise and pollution like the rest of the city. Plus it has a beautiful Club right next to the sea, with a huge promenade so that can really turn out to be a great peaceful walk. 3. 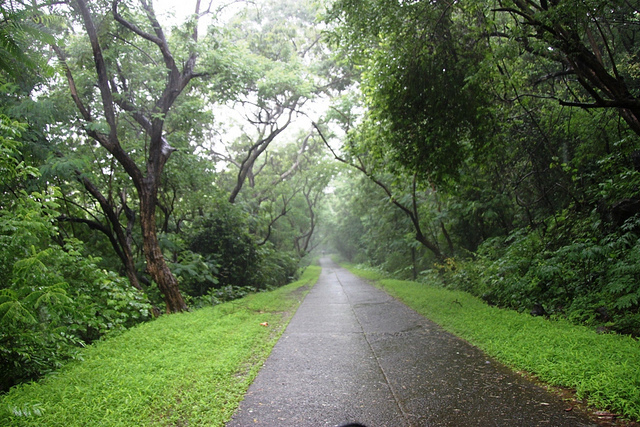 Sanjay Gandhi National Park: Yes we have one of Asia’s biggest national parks in the city. It is the closest escape to nature in our city. And it is wonderful in the rains. It has its own water body that jumps to life in the rains and can make for a good dip. It can also make for a great picnic spot. But don’t venture in too deep unless you really want to feed the leopards :P.
4. 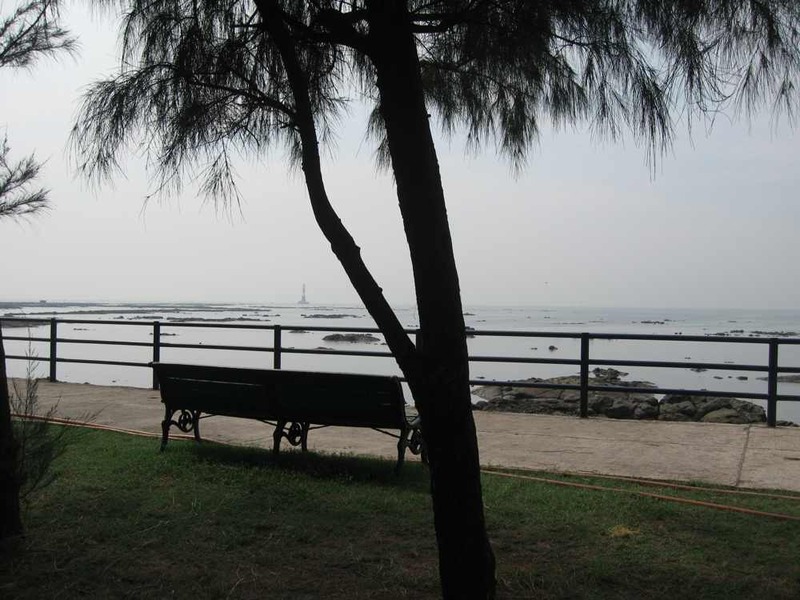 Bandra: Now we all know of Bandra and everyone goes there to shop or to take a drive from town over the sea link. But one should step down for more than just the Sharwma at Carter’s. Bandra has many of those tiny lanes that still have a few bungalows left from the good old days. And these lanes can be quite a delight to walk through, with a few good eateries to stop by too. Plus there’s always bandstand. 5. Number 5 I leave to you guys to find. Some great place in the city that makes you feel good. Some place where your feet find ground and help you free your mind from all the worries of life. 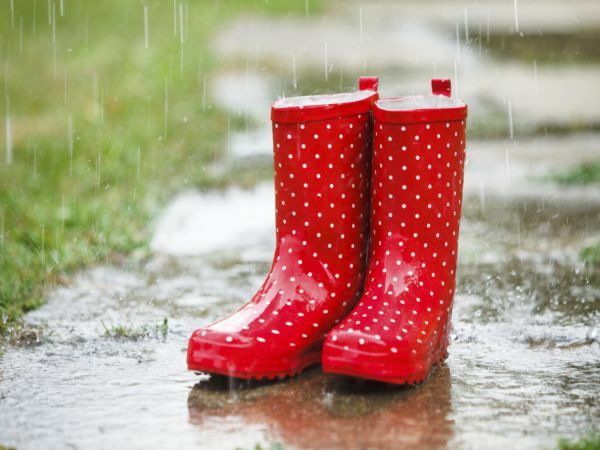 So put on your rain shoes and enjoy the rains! !